Have you ever given an app on your phone permission to do something without a second thought? Even sensitive permissions, like access to your camera, microphone, and location are often enabled without batting an eye. But that’s a risky way to use your phone. Let’s look at the most dangerous types of mobile permissions, and the ways that an app could abuse them to steal information about you 10 Pieces of Information That Are Used to Steal Your Identity 10 Pieces of Information That Are Used to Steal Your Identity According to the US Bureau of Justice, identity theft cost victims over $24 billion in 2012, more than household burglary, motor, and property theft combined. These 10 pieces of information are what thieves are looking... Read More . We should quickly review how permissions work What Are Android Permissions and Why Should You Care? What Are Android Permissions and Why Should You Care? Do you ever install Android apps without a second thought? Here's all you need to know on Android app permissions, how they've changed, and how it affects you. Read More before we proceed. For both Android and iOS, apps require permissions to access sensitive data on your phone. If a developer makes an app that relies on having your contacts, for example, he must add a permission into the app’s code. On Android 6.0 Marshmallow and later, you can toggle permissions (on or off) individually. When you install a new app, you’ll see a pop-up asking you to grant permission for the app to use something when it needs it. For example, if you download a new SMS app 7 Amazing Free Android Apps for Better SMS Text Messaging 7 Amazing Free Android Apps for Better SMS Text Messaging These apps will greatly improve your texting experience on Android. Read More and click the in-app camera button to send a picture to a friend, it will ask permission to access your camera. If you say No, then the app simply can’t use that functionality. You can access the app’s settings to change the permissions if you change your mind later. A similar system exists on iOS. You decide whether to enable app permissions individually, and can revoke them any time. On Android 5.x Lollipop and older, you’ll find an all-or-nothing permissions system. When you install an app from Google Play, it shows a list of permissions that the app wants. If you don’t want to grant access to one of those permissions, your only option (aside from rooting Do You Still Need to Root Your Android Phone? Do You Still Need to Root Your Android Phone? Rooting used to be a necessity for many, but as the years have gone by, is it still as useful? Read More ) is not using the app. When an app has permission to do something, it has that permission until you disable it. It won’t ask you every time to authorize an action. It’s no surprise when a voice recording app What's the Best Voice Recording App for Android? What's the Best Voice Recording App for Android? There are lots of moments in life you might want to record. Make sure you have a great app to help you do just that. Read More needs access to your microphone. But how about that new free game you just installed asking for this permission? If it seems a bit fishy, that’s because it is. 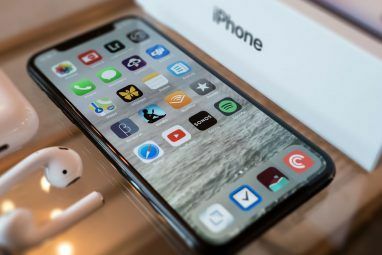 The New York Times recently found that hundreds of games on Google Play, and some on the App Store, are integrated with a software called Alphonso Automated Content Recognition. This, partnered with Shazam Which Music Identification App Is King? Which Music Identification App Is King? Music identification apps make it easy to find out which song is playing at any given time, but which service is best? We put Shazam, SoundHound, and MusicID head-to-head to find out. Read More , uses your device’s microphone to identify what movies and TV shows are playing around you, then takes that information to build a better advertising profile on you How Advertisers Use Web Beacons to Track You on the Web and in Emails How Advertisers Use Web Beacons to Track You on the Web and in Emails Have you ever wondered how advertisers track you around the web? There are many methods, but the use of web beacons is one of the more common and effective. Read More . While this isn’t the most harmful behavior possible, it’s probably not something you’d prefer to have on your phone. Even while you’re not playing gaming gems like Surface Shifter or Bunny Jump, they’re still using your phone’s resources to snoop on what you’re watching Your Smart TV is Watching You - and It's Not the Only One! Your Smart TV is Watching You - and It's Not the Only One! Are Vizio smart TVs capturing information about you and transmitting it back to Vizio without telling you about it? And if so, is this something you should be worried about? Read More . If you watch a lot of sports, for example, you might see more ads for team equipment. If an app has access to your microphone, it has the ability to listen to what you’re doing any time it feels like it. We don’t need an elaborate explanation as to why a malicious app having access to your camera Why You Should Disable or Cover Your Webcam Right Now Why You Should Disable or Cover Your Webcam Right Now If you aren't careful, hackers can easily gain access to your webcam and spy on you without your knowledge. So you have two options: disable the camera or cover it up. Read More could be dangerous. While many apps need this permission for legitimate reasons, usually to conveniently take pictures inside the app, the story is the same as your microphone. With access to your camera, an app could take pictures anytime it wants. And if it has internet access (which is such a common permission that Android doesn’t even ask you to confirm it anymore), it could upload those photos to who-knows-where. iOS developer Felix Krause demonstrated how an iPhone app could capture photos of someone while using the app and share them immediately. How would you like someone to see pictures taken using your phone in the bathroom? And how about if your phone was sitting in your bedroom, pointing at you while you were changing? Cameras have huge potential for embarrassment or worse. Your general location isn’t a big secret — it’s easily ascertained from your IP address How to Trace an IP Address to a PC & How to Find Your Own How to Trace an IP Address to a PC & How to Find Your Own Want to see the IP address of your computer? Perhaps you want to discover where another computer is situated? Various free tools are available that tell you more about a computer an its IP address. Read More . But that doesn’t mean you want every app to access it. If you can’t think of a specific reason that an app needs your location, and it includes the permission, then it’s almost certainly for a nefarious purpose. For instance, Google Maps needs your location so it can give you directions 16 Google Maps for Android Tricks That'll Change How You Navigate 16 Google Maps for Android Tricks That'll Change How You Navigate Go further with Google Maps for Android with these tricks for newcomers and advanced users alike. You'll be navigating more swiftly than ever. Read More . Shazam asks for your location so it can save that info when you tag a song. But free games that have no business with that information often ask for it, too. Flashlight apps are infamous for loading up on permissions Scam Apps in the Play Store You Need to Avoid Scam Apps in the Play Store You Need to Avoid For every amazing app you can find on Android, there's a cheap knockoff waiting to waste your time and steal your money. Read More , including your location. They send this back to advertisers to learn more about you, as usual. By knowing what stores are near you and what type of area you live in, they can build a better picture about what you might have interest in. Some apps need access to your contacts to make sharing easy. A new messaging app 7 Messaging Apps You Can Use on Your Phone or Computer 7 Messaging Apps You Can Use on Your Phone or Computer Want to send messages from both your phone and your computer? Grab one of these options to continue the conversation wherever you go! Read More might check to see which of your friends also use it, for instance. Based on what we’ve discussed so far, it’s not hard to guess how an app could abuse this permission. If you guessed “uploading your contacts list to advertiser servers,” you’re correct! Like other permissions, it’s not hard to tell if the app really needs it or not. A game would only need this permission if wanted you to invite your friends and beg for more lives. You should be careful with this one; it’s one thing to open up your own phone Why You Have a Responsibility to Keep Your Hardware Secure & Malware Free Why You Have a Responsibility to Keep Your Hardware Secure & Malware Free Keeping your computer clean isn't just smart: it's your civic duty. A malware-ridden computer doesn't just slow you down, it infects your friends' and family's computers, putting them at risk. Read More , but unintentionally selling out your friends’ contact info isn’t cool. 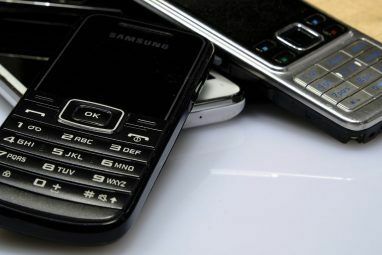 Aside from SMS replacement apps Text Better With These Alternative SMS Apps for Android Text Better With These Alternative SMS Apps for Android Don't like your default SMS app? Try a new one! Read More , an app might ask for permission to use your text messages so it can retrieve a login code. These are both legitimate uses, but like everything else, they have a dark side. A nasty app could use this permission to send a ton of texts to premium numbers and rack up a big bill for you. Or it could text your contacts a fake story about needing monetary help in the form of gift cards Don't Fall for This iTunes Gift Card Scam Don't Fall for This iTunes Gift Card Scam Police are warning people across America and Europe about a new scam that tricks you or your loved ones into buying Apple gift cards. How can you avoid it? And should you really be concerned? Read More , then delete those messages so you don’t see them. That’s quite a bit of trust to put into an app in exchange for saving you five seconds to enter a code yourself. We’re not trying to scare you. It’s not as if every app that asks for a permission is using it for nefarious purposes. App permissions are not bad in themselves, and many developers explain what they use the permissions for in the app description. That’s why it’s vital to think critically about permission requests. Don’t just blindly tap Yes every time. If you install a trusted camera app Take Beautiful Photos, Fast: The Quickest iPhone Camera Apps Take Beautiful Photos, Fast: The Quickest iPhone Camera Apps The iPhone's camera app has certainly come a long way over the years, but there are several third-party camera apps that are faster to use when you're in a hurry. Read More and it needs permissions to use your camera, then you’re probably OK. When a solitaire game needs access to your contacts, location, and SMS, you should uninstall it or at least deny it those permissions. Remember that popular doesn’t mean safe, though. 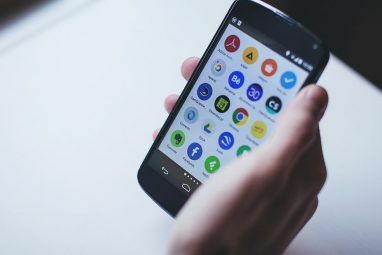 Several hot Android apps have major privacy issues Do Not Install These 10 Popular Android Apps Do Not Install These 10 Popular Android Apps These Android apps are extremely popular, but they also compromise your security and privacy. If you have them installed, you'll want to uninstall them after reading this. Read More . Thankfully, for most types of apps, you can always find an alternative. Take the time to check if there’s a similar app that doesn’t require as many permissions. On Android, you can review app permissions by visiting Settings > Apps & notifications > App permissions. Here you can check all apps you have installed, grouped by permission. Meanwhile, iPhone and iPad users should visit Settings > Privacy and select a permission type to review apps that have access to it. Disable the slider to revoke permission. Take a few minutes to look over the most sensitive permissions and ensure you aren’t handing over too much info. How Do You Manage App Permissions? We’ve taken a look at why permissions are important, five of the biggest risky ones, and how you can take charge of your permissions. All it requires is a bit of diligence and you’ll have a much safer phone. Remember that all the above scenarios require you to grant permission to the apps to perform their data collection — so don’t! 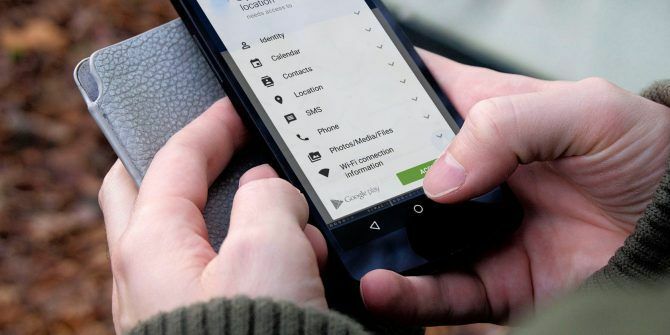 If all these app permissions have you worried, check out the best privacy-friendly Android apps 9 Privacy-Friendly Android Apps You Should Be Using 9 Privacy-Friendly Android Apps You Should Be Using Deck out your phone with these privacy-friendly apps. Read More . Have you ever used an app that abused permissions? What are some of your favorite low-permission apps? Share your thoughts and recommendations in the comments! There's plenty to discuss regarding permissions and apps. Oh well. And yet most users, even tech-savvy ones, just notice a cool app and install it without even a glance of the permissions they are granting. good info but the point is not for users to decided even aware about it and os store responsible for every single app by inquiry developers in every single permission for their app availablity in store either accepted or declined otherwise users will take full responsibility by downloaded on any platform.